Chelsea manager, Antonio Conte, has revealed that he has accepted a Football Association charge of misconduct and will pay his £8,000 fine. Conte, however, insisted the incident will not make him change his behaviour on the touchline. The FA took action against Conte , after he was dismissed from his technical area by referee Neil Swarbrick, during the first half of Chelsea’s 1-0 win over Swansea City on Thursday. The Italian fired a couple of angry comments over what he perceived as time-wasting from the visitors at the officials. He later apologized for his actions, but on Friday during his press conference, he vowed to continue fighting against delay tactics. “It’s right to accept it and pay the fine,” Conte said. “You know what happened, [and] if the referee took this decision I have to respect it and pay this fine. “I want also the referee to learn something about this because Swansea was wasting time and the referee has to protect the team that wants to play football and try to win the game. 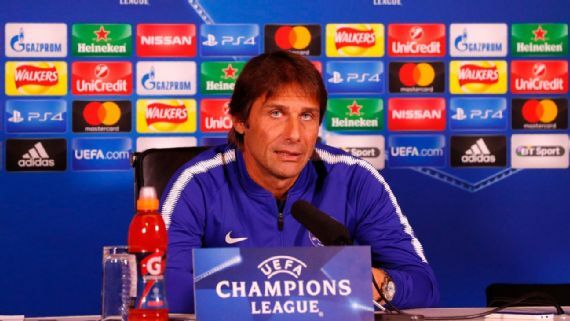 Asked if the punishment will change the way he acts during games, Conte replied: “For what? For this? No, no, I think I hope in the future that I tell my players to go out and tell these things to the referee.